We are a small but outward looking congregation one of four in Eynsford, a Kentish village with a rich history from pre Roman times and a current population of around 1800. Founded in 1775, the congregation of EBC has seen days when its congregation was well over 100. In recent years we have been through some challenges and currently there are 15 of us, who live in the village or close by. Although small in number we see ourselves as a close family, led by the Spirit and sharing God’s love. The church building rebuilt in 1906 is a wonderful resource and is used for worship on Sundays and by several community groups during the week. Our meetings are informal and interactive with questions, comments and discussion. Our worship combines traditional and contemporary styles. We make frequent use of video material. We aim to be open to the leading of the Holy Spirit and be guided by appropriate use of the Bible. 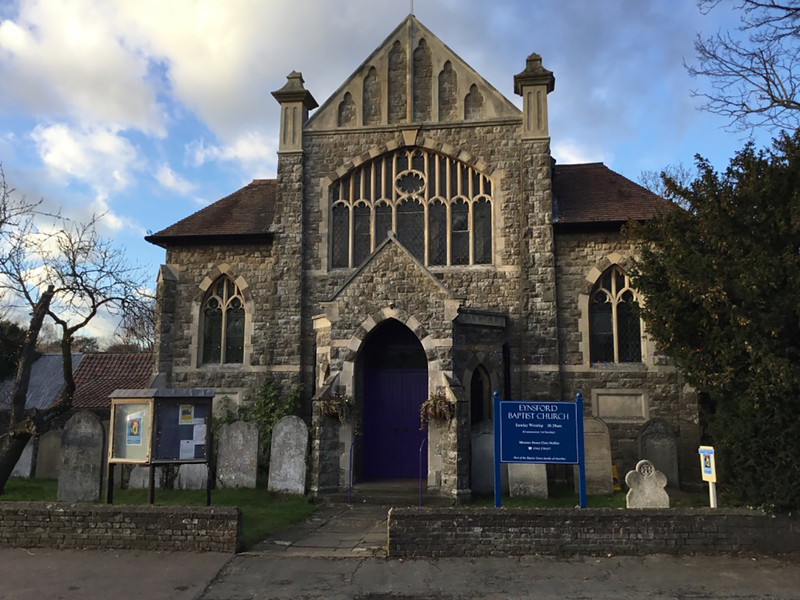 Relations with the other congregations (St Martins, the parish church, Darent Valley Community Church and the Redeemed Christian Church of God) are good and we hold regular joint meetings and activities. We are optimistic about the future and look forward to welcoming both the committed and the curious to our Sunday meeting, which begin at 10.30 am. If the purple doors are shut in colder weather the reason is to keep the heat in rather than people out. Just come round to the side door where a warm welcome awaits you.